In all of Holocaust history, Herschel Grynszpan is considered to be one of its more controversial – and curious – figures. But regardless of the moral ambiguity of the choices he made, his actions had a major influence on the course of events. He also goes down in the books as one of the first Jews to defy Nazi Germany. The child of Polish immigrants, Grynszpan was born in March of 1921 in Hanover, Germany. As a teen, he studied at at Yeshiva in Frankfurt before returning to Hanover, where he applied to move to Palestine. However his young age and small size worked against him, and his request was denied. Upon being denied entry into Palestine, Herschel illegally snuck into Paris in 1936 to live with his aunt and uncle. Throughout the following two years he tried to gain legal residency in France, but was consistently denied (possibly due to the political climate at the time). His re-entry papers into Germany were expired, and Poland had just passed a law that stripped anyone living abroad for over five years of Polish citizenship – in effect, Herschel became a person belonging to no state, and simply continued to reside illegally among the Orthodox community in Paris. In 1938, approximately 12,000 Polish Jews were rounded up and forced onto boxcar trains destined to Poland – which had no desire to admit them, and they were left stranded at the border. Among these Jews were Grynszpan's family: his mother, father, and siblings. One of his family members managed to send Herschel a postcard from the border town they were staying at detailing their mistreatment at the hands of the Germans. Alarmed by the news, Herschel implored his uncle to send them financial help, which his uncle refused to do: his finances were already stretched thin by the illegal immigrant living in his home. 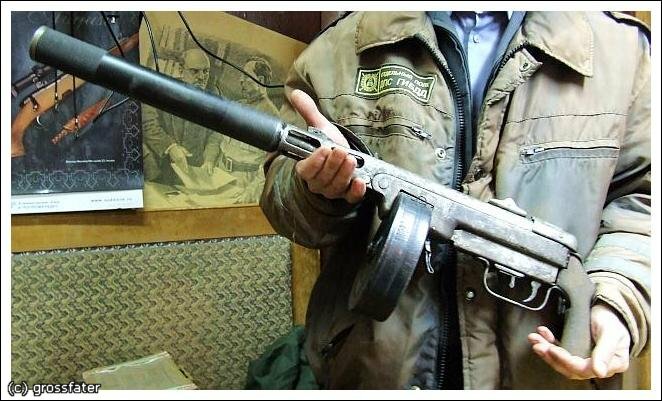 The 17-year old youth walked out on his uncle that day, and with the little money he had in his pocket, he purchased a gun and then proceeded to the German embassy in Paris. 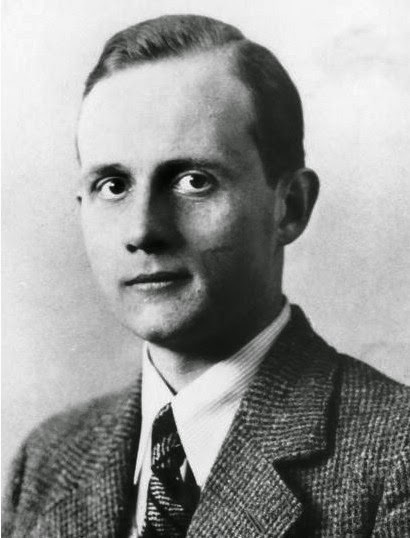 Herschel requested to talk to an embassy official, and the clerk on duty at the time, Ernst vom Rath, was sent to inquire about Herschel's intentions. Claiming vengeance for the 12,000 deported Jews, Herschel then shot vom Rath, who died two days later in the hospital. The timing for this event turned out to be disastrous for German Jews. This was the perfect excuse the Nazis needed to continue with their antisemitic plans: Goebbles gave an impassioned speech that day, which fueled the flames of a nationwide pogrom that subsequently became known as Kristallnacht, or the Night of the Broken Glass. But the case was not as clear-cut as the Nazis had hoped. 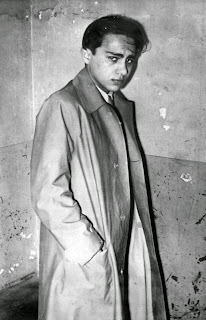 Urged by his legal defense team to “de-politicize” the assassination, Grynszpan claimed that he wanted to assassinate the German ambassador not for political reasons, but because vom Rath had seduced Grynszpan after promising him help with his immigration status – and then turned his back on the promise. French law was much more tolerant of crimes of passion than of politically-motivated assassinations, so Grynszpan would likely avoid the guillotine with such defense. As time went on, it became clear that neither the defense nor the persecution – led by a German lawyer sent by Goebbles tasked with finding evidence of a Jewish conspiracy – were in any hurry to proceed with the trial. The proceedings were further complicated by the outbreak of the war, and Grynszpan subsequently spent the next two years languishing in French prisons. Once Germany invaded France, he was bounced from prison to prison, until German agents found him in Toulouse. He was taken into German custody in 1940 – Goebbles and the Nazis hoped to use him for a show trial to prove the complicity of “international Jewry” in the assassination. Because the Nazis needed to keep Grynszpan in good shape for the political theater he would be forced to take part in, he was sent to Sachsenhausen, where he was housed in a “bunker” reserved for “special prisoners”, including the last chancellor of Austria. What happened to him during and after the war is a mystery. The show trial Goebbles had wanted never materialized – the initial procedural delays took two years, by which time Goebbles and others became aware of the “homosexual defense” Grynszpan was planning to use. Though the relationship may have been fabricated, vom Rath's homosexuality was quite real, and would have caused the Reich great embarrassment. By the time Hitler found out the whole truth about the case (presumably through Bormann, as Goebbles was not wholly forthcoming about the details), the regime was in no mood for more show trials. The failure of the Riom trials in France showed just how dangerous such theater can be to the persecuting regime, and the Reich had more pressing matters to deal with, such as their military setbacks in the Soviet Union and American involvement in the war. Grynszpan's fate was placed on indefinite hold and, after being moved to Magdeburg prison, he disappeared from official records. Some claim that he must have been executed by the Germans at one point or another; others claim he made it out of prison and lived out the rest of his life in Paris under an assumed name. The West German government declared him legally dead in 1960. His parents managed to survive the war – fleeing to the Soviet Union after their deportation to Poland in 1939, and then eventually immigrating to Israel.